Any vegetables you have in your fridge such as cabbage, carrot, broccoli, coliflower, green onion, bamboo, baby corn, green beans, etc. 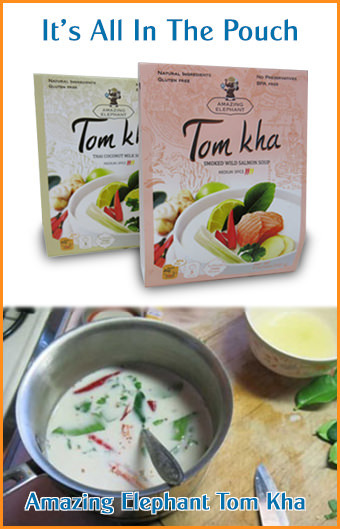 In a mortar and pestle pound the soaked dried chillies with salt until fine, then add galangal, lemongrass and garlic. Pound this until it becomes a fine paste. Add shallot and shrimp paste. Pound until smooth. You will have about 2/3 cup of chili paste. In a large mixing bowl, combine all of the pork with the curry paste, 1/2 cup of liquid from pickled garlic, and Thai curry powder. Mix well (put rubber glove on if mixing by hand) and let this marinade for 1 hour (stir the meat after half hour). In a large pot or large wok stir fry the marinaded pork on medium heat for about 10-15 minutes until it's no longer pink. Add water, and cook until it comes up to a boil. Turn the heat down to low, let cook for 30 minutes. (Note: You can scoop off the fat that comes up to the surface, and save this fat for another dish called 'Keang Ho' later if you prefer). Add pickled garlic cloves, ginger, peanuts and pineapple. Continue to cook over medium/low for another 30 minutes. Season with soy sauces, palm sugar and tamarind. The taste will be sour and sweet with a little bit salty. Let it cook for another 30 minutes. Serve and Enjoy! In the wok, heat the reserved fat of the Hanglay together with garlic. Stir fry until fragrant then add your vegetables starting from the one that takes longer to cook. Then add the left over soup from hunglay, followed by the beanthread noodles, and chili. Season with fish sauce if necessary. Serve and Enjoy! This is an excellent dish. I used boneless sirloin and found it necessary to simmer for an hour and a half, much longer than the recipe specifies, to reach tender. I didn't have the shrimp paste so I just left it out and didn't notice any lack of flavor. Looking forward to trying this with chicken or pork. I've had this "hanglay" with chicken prepared special for me from a Thai restaurant chef who comes from northern Thailand. She makes it from the pre-made packaged curry mix, which is hard to find. She tells me you can only get it in Chiang Mai. Even though she gave me a few packages to try to make for myself I would love to be able to buy more, because it is the best curry I've ever had and it's not on the menu. I made this recipe but was out of galangal. However, I did have some bottled krachai (finger root) so I substituted about 3 inches of that. This probably gave it a flavor a little closer to Gaeng Paa (jungle curry) than is traditional for Gaeng Hanglay but it was absolutely delicious. Thank-you, thank-you. I have been looking for this recipe in English ... forever. It is a favourite of my husband's and I am very glad to be able to make now. You can't always be sure what you are going to get when you order it in a restaurant. 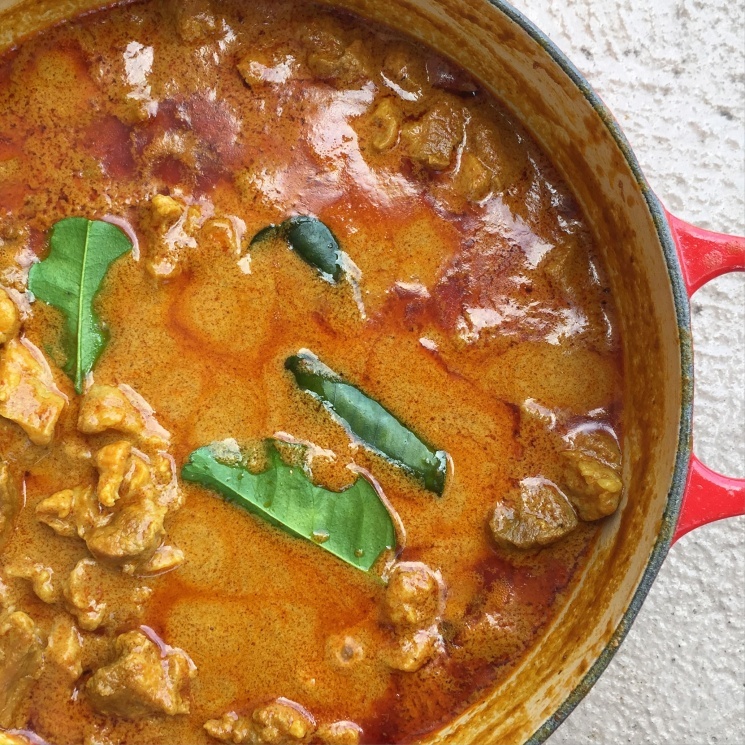 To make your own Kaeng Hung Lae curry powder, mix together equal parts of ground cumin, coriander, turmeric and mace (about 1 teaspoon of each to make the required tablespoon required by this recipe). I love this dish and can't wait to try your version!